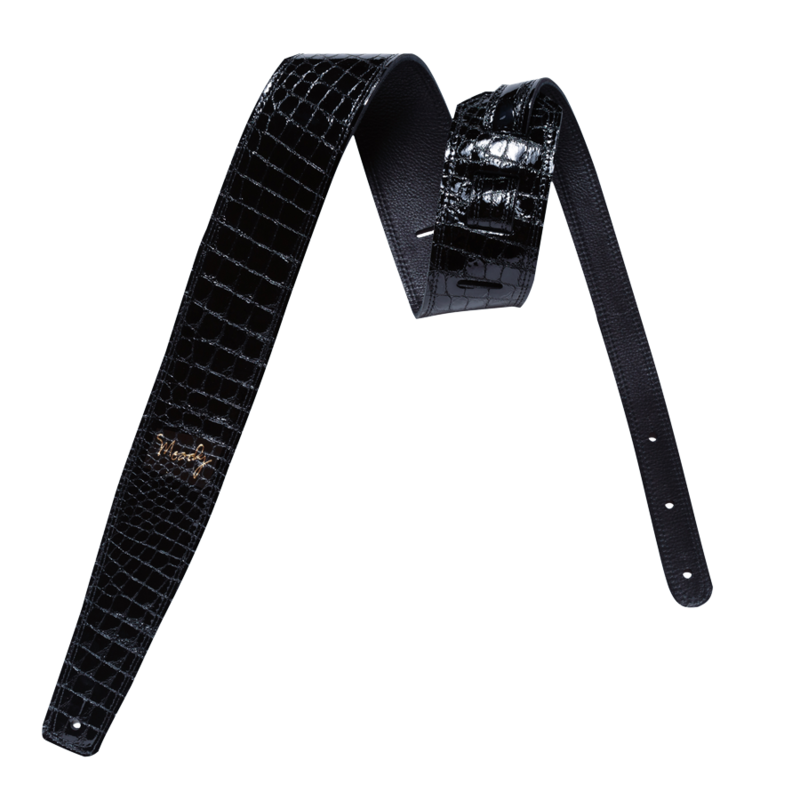 Our awesome 2.5-inch faux gator leather backed guitar strap is made in the U.S from the finest of materials. Specifically designed to be lightweight and comfortable, our strap guarantees that you will enjoy the music, without having to occasionally adjust the weight of your guitar on your shoulders. The reinforced double stitching also makes it durable, while adding to the look that has made these popular guitar straps among our customers.